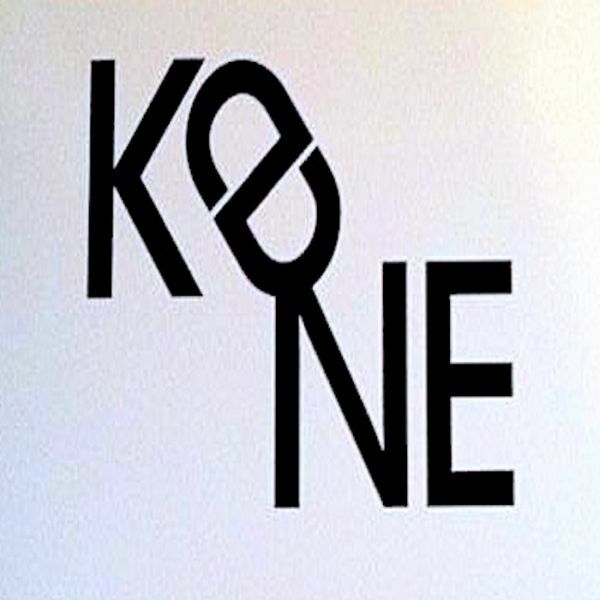 Break out the party hats, folks: after six years, Kone are back. From outer space to the depths outside the continental shelf, Kone have taken us to places we never dared go and now they do so once again. We’re on land again, but engulfed by the froth and firmament of the tidal pools. The aggression which made the first two records so beloved is at the fore, pushing and shoving us onwards without mercy; the taskmaster keeps those tempos high and does some first rate tinkering with the Kone formula. Yes, there is one. Long time listeners can tell you from their travels into this bizarrely composed world that some rules do indeed dictate the surroundings. Namely, that whatever the first track sounds like by the time you get further along you’re not sure this is even the same artist. A song like “Poor Jerusalem” is only four places in but you’re to be floored by what you hear. It relates to the other three in name only. Sci-fi minimalist techno? It could be. Futurist themes for a metropolis Fritz Lang would call home? Oh yeah. But Kone don’t keep things all nice and regimented, despite the Detroit undertones on ‘Solip Cystic Mystic’. This is music the caged bird sings as those bars bend and the windows open up. You’re on a journey with one man’s creative vision jabbing at the framework of reality; enjoy that, there aren’t many artists left who’ll toy with their listeners perceptions. Generally, you get only so far with electronic music in this vein and then the composer begins to repeat himself by turning formerly imaginative passages into hooks and ringtone fodder. Not so with Kone. Certainly never with Western. All he has to do to make this sort of material is keep it purely electronic, that is the main difference between his solo works and this project. So if you enjoy the space rock elements he explores with other avenues, you’re not going to find them here. No vocals, either. What there is, however, are meticulously detailed compositions which always go somewhere. Kone does not drift, nor does it ever remain standing still. Even in the breakdowns and segues there are always at least three or four elements being ramped up to prevent silence from ever intruding. The only time it quiets down are the brief moments between songs; I really love how he integrates some of his previous aural selections into the tune “Wash Your Hands”. Don’t be alarmed, only the briefest of snippets are deployed. You get the sense that with this album, he’s checking to see which of us have been paying attention. Given how consumerist most music fans are I don’t blame him. People forget so quickly, it is a tall order to hold their interest for even a few days. Which are now at an end, faithful ears. My only worry is that he’s made this record as a farewell for Kone and if that’s the case then this is a majestic way to go out. A fiendish mechanical device which spits out dirt and grime until the residue coats your every surface; but all my words can only approximate the dynamic range he’s unleashed with album three. You’re going to have to hear it for yourself to believe. Where does he get it from? For all my years spent listening to Phil I’m still no closer to understanding how he does what he does! In these times of cookie cutter acts strip mining the obscure catalogs of others long gone to avoid the fines this guy won’t give in. Give it enough time and some of these clowns out there are going to begin sampling him, trying to duplicate his efforts. But there is only one, you fools.